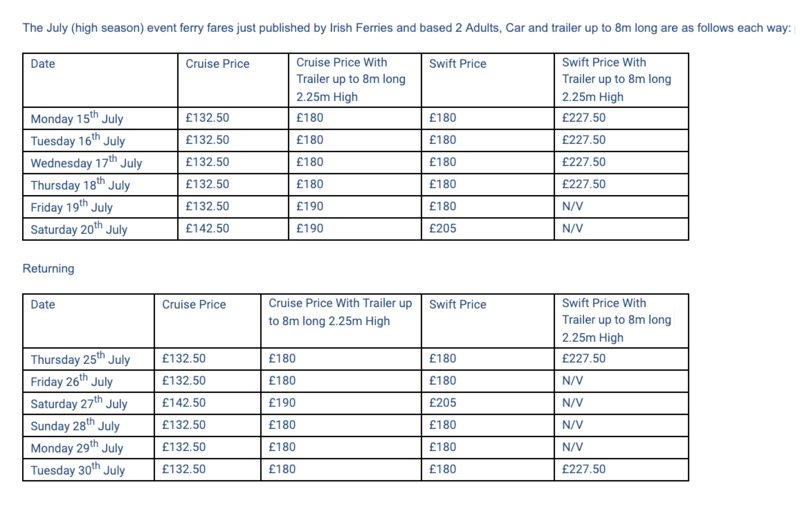 These fares are not available on line they must be booked direct via Mark Cole in the group booking department, early booking is advisable as it is the high season and there may be a restriction on number of trailers allowed on each sailing. The event fare allows you to arrive early or stay over after the event should you wish to extend your stay. All major Car Rentals are available from the Airport, from there take the M50 south, continue on the M11 when these routes merge, take exit 7 (M11) and follow signs to Greystones. From Dublin City the DART train southbound, destination Greystones will take you to the heart of the town.